https://matcha-jp.com/en/6643 Hoshino Resorts RISONARE Atami - Enjoy The Sea, Mountains And Hot Springs! 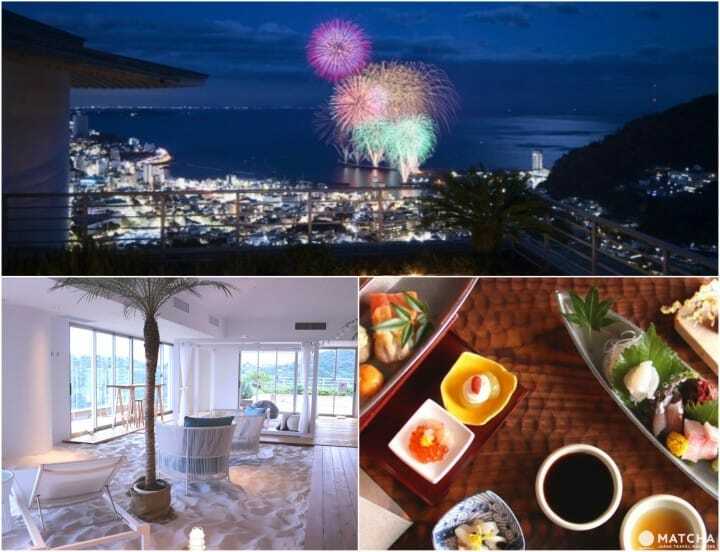 Atami, located in Shizuoka Prefecture, is a renowned holiday resort, highly appreciated by tourists for its excellent hot springs and for its fireworks festivals held year-round.. The fact that it's accessible from Tokyo in about 40 minutes by Shinkansen (bullet train) adds to its appeal as a travel destination. For a special, memorable trip to Atami, we recommend choosing RISONARE Atami operated by Hoshino Resorts as your accommodation. Hoshino Resorts RISONARE Atami has everything needed for the perfect getaway for all types of guests, including family, friends, and couples. 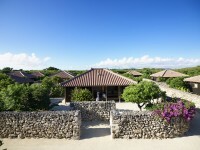 This resort offers both relaxation and entertainment, from rejuvenating in the hot springs to beautiful rooms with ocean views, along with a dynamic range of activities. Beautiful Rooms with Ocean Views! Perched on the hillside in Atami, RISONARE Atami is surrounded by trees and greenery. Since opening in 2011, it has been a favorite choice as a getaway spot from city life, due to its peaceful environment and the brief one-hour ride from Tokyo. The guest rooms at RISONARE are designed beautifully, featuring a contemporary Japan-meets-West interior. All rooms come with a stunning view of the Sagami Bay, the bay occupying the sea between Shizuoka and Kanagawa prefectures. On top of this, no room is smaller than 65-square meters, with the largest option being the 120-square meter Terrace Suite (pictured above). The suite includes a Japanese-style tatami room as well as a balcony overlooking the water. For more details on the rooms available at RISONARE Atami, please take a look at their official homepage. From Kids to Adults, Everyone Can Have Fun! One of the appeals of RISONARE Atami is the amount of activities to try. Catering to a variety of different needs of guests, there are plenty of interesting experiences to have. Adventure in the Forest with a Pleasant Workout! One of the most exciting things to try is the athletic course at the Kusu Kusu Elevated Forest Base, where you proceed through a fun and exhilarating 9-meter high route through the woods filled with camphor trees. There are two courses to choose from: the Basic Course, ideal for younger children (ages 5 and up), and the Step-Up Course, a slightly more exhilarating route (ages 7 and up). At the end of the Step-Up Course, you can glide down from the trees to the ground on the supporting line. The instructor will make sure you are safe and having a great time, even if you might feel a bit nervous at first. To find out more, read about the athletic course on this page dedicated to the Kusu Kusu Elevated Forest Base. You can also try rock climbing on the Northern Wall in the lobby. You can adjust the difficulty of the climb and exercise depending on the color of the hold you grab. Climbing shoes are provided as well in a variety of sizes. Both children and adults can enjoy this activity. It is also fun to peer out and view the amazing coastline from the top of the climbing course! This is another activity ideal for families and groups of friends. For more details on the indoor climbing activity, please refer to the official homepage. In addition to the athletic activities, RISONARE Atami also offers a variety of workshops. Coffee lovers will be delighted by the SORANO Beach Coffee Course Lecture, where guests can learn how to brew a delicious cup with white sand beneath their feet at the SORANO Beach Books & Café on the top floor of the resort. Choose from French Press, Siphon, and other methods to brew and compare the different tastes of coffee. The coffee uses the hotel’s original coffee bean blend, Umi (meaning “sea” in Japanese). You will also receive dark chocolate with sea salt made by a local Shizuoka company that pairs perfectly with your beverage. The combination of the coffee, chocolate, and beach environment of the cafe is incredibly relaxing. This is a must for anyone who drinks coffee! For more details on the activties available at RISONARE Atami, please refer to their official website. RISONARE incorporates Atami’s history and reputation for high-quality hot springs into its facilities. In addition to the private Japanese-style bath in each room, there is Myojo no Yu, a gender-separated bath facility overlooking the coast. Here you can bathe in two luxurious baths and also enter a sauna room. The first is a cypress wooden bath, which feels very warming and relaxing. Next to the wooden bath is one made from two types of stone brought in from Izu, the region that makes up the Shizuoka Peninsula. The stones are also supposed to retain heat and help bathers truly relax. Both baths are kept at a comfortable temperature suitable even for visitors who prefer cooler water. The spring water has high calcium and salt content, which is thought to have health benefits. There is also an aroma-scented, semi-outdoor bath in the second room. The scents change throughout the year, with lavender in mid-September and yuzu, a citrus fruit, during winter. From this bath, you can look down on the bay and enjoy one of the best views of the fireworks displays held in Atami throughout the year. Check out the page dedicated to hot springs on the official website of RISONARE Atami for more details. There are two main dining facilities at RISONARE Atami. Dining HANABI (shown above) is a restaurant offering a gorgeous and delicious kaiseki (a traditional Japanese course meal) dinner. The interior design of the restaurant is also stunning, with bright firework photography on the walls and firework-inspired tables and rooms. The menu is based on Atami's regional specialty—seafood, featuring fish like sea bream, and is presented on dishes and arrangement inspired by the boats sailing on the Sagami Bay. If you notify RISONARE in advance of any food allergies or dietary restrictions, the chefs here will gladly accomodate your requests. Another option is Studio Buffet MOGMOG, a buffet open during breakfast, lunch, and dinner hours. Here you can indulge in Japanese and international cuisine inspired by the sea and mountains. Guests here can take in a stunning view of the seaside while enjoying their meal. Fresh juice, flavored water, and other beverages are also available for diners to take freely. Celebrate the Seasons and Holidays in Japan! In addition to the athletic course and coffee lecture, there are more activities you can try at RISONARE Atami. Guests can take part in special holiday-themed and seasonal events, including Halloween, fruit picking, and Christmas-themed activities. A popular and entertaining activity is "Turning into A Witch," where you dress up at the witches' closet and select an adorable handmade costume. Afterward, head to the tree house decorated for Halloween and take some fun photos. Share delicious tea and sweets with your friends and take in the magical forest atmosphere inside the largest treehouse in Japan, built on a 300-year old camphor tree. On the Activity page of the RISONARE Atami official website, you can find more details about this fun activity. Hoshino Resorts RISONARE Atami provides visitors with a relaxing and activity-filled stay, surrounded by the ocean and the mountains in Shizuoka Prefecture. Immerse yourself into the local culture by dipping into hot springs and viewing stunning firework displays, and try new activities, from exercise in the forest to seasonal events. The amenities at RISONARE Atami and the beautiful landscape of Atami are sure to make anyone’s stay here special and memorable. Check room availability on this booking page. Access 20 minutes by shuttle bus from JR Atami Station.